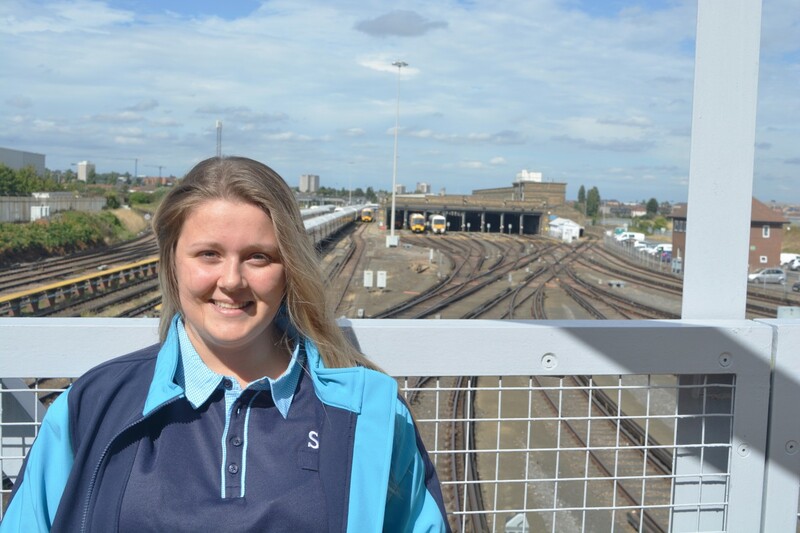 My name is Elena and I’m a third year apprentice with Southeastern Railway. I’ve lived in the Medway Towns since the age of 8 and took a while to figure out what I wanted to do when I grew up. In my spare time you’ll find me with a book in my hand or working on my latest crafting endeavour. I love travelling, cooking and anything to do with pandas. My apprenticeship with IPS began with one company and ended up with another. IPS helped me secure an interview with a company they believed I could work will and thrive in – and I did! So much so that it was possible for me to see that there were better opportunities for my personal development elsewhere. IPS completely supported me through this move as they could see I was doing what was best for me and were always on hand to offer advice if I felt I needed it. Engineering is a great option for people that want to learn but aren’t university material. Every day you learn something new; it’s impossible to know everything as there are so many different branches of engineering. IPS are massively supportive; the tutors are always more than happy to help and have worked in the engineering industries which really helps provide technical support. Every qualification gained provides a strong base knowledge. Through it you can then develop on it as much or as little as you like. Without the knowledge that IPS offers to its students, gaining the necessary expertise would take a lot longer and be a lot less organised.The moment that really stood out for me was having our presentation evening at the end of the BTEC Level 3, surrounded by friends I’d made through my time at IPS and also my family.The venue was lovely and it was as great atmosphere. My name was read out in a list of students that had achieved the highest grade overall and that felt great, knowing that my hard work had paid off and I’d found something interesting in which I can excel. The moment that really stood out for me was having our presentation evening at the end of the BTEC Level 3, surrounded by friends I’d made through my time at IPS and also my family.The venue was lovely and it was as great atmosphere. My name was read out in a list of students that had achieved the highest grade overall and that felt great, knowing that my hard work had paid off and I’d found something interesting in which I can excel. Although you don’t get to work on trains at IPS, the basic principles for electrical and mechanical work are applicable to all tasks which means I can be confident when approaching a new task. My role at work is completely hands on and I learn something every day, even if I’m carrying out a job I have done before. Most of my role is mechanical work but as my knowledge advances the opportunity to undertake fault finding and electrical tasks increases. IPS has prepared me for the variety of tasks in a real work environment and I know that if I wanted to further my knowledge, IPS would be a great place to do it. In terms of getting women interested in engineering, it really needs to be targeted in school. I went to an all-girls school and not only was engineering never spoken about, but apprenticeships weren’t considered an option either, you either went to university or you failed in their eyes. Being a female engineer is something that will affect everyone differently; my experience has been brilliant so far and I can’t see why it wouldn’t carry on that way. No one is better than anyone else and you should never have to prove yourself because you work in a ‘male environment’. Getting an engineering apprenticeship as a woman is so rewarding because I can look at some of my friends and see that not only have I avoided the debt of university, but I’ve still had the life experiences. My favourite thing though is getting to see the look of surprise on people’s faces when I tell them I’m an engineer!